Successful Orthopedic Approach for Massage Therapists. Become an Orthopedic Massage Therapist. Achieve a deeper healing potential and retain your clientele with this essential Orthopedic Massage. This course was developed for RMTs based on the application of physiotherapy. Your instructors, trained in both physiotherapy and massage therapy will present you with original concepts such as muscle base, scooping, and vector of force. Additionally, because the body is designed to move, a strong emphasis of this course is on moving the joints to produce the desired effect – a return to health. How can your clients benefit from Orthopedic Massage? Fundamentals of Orthopedic Massage: Rise above to provide the best treatment your clients crave. Provide corrective care that brings recovery. This is muscle therapy that will raise your practice to the next level. Prepare yourself towards your journey of OM certification. Learn the fundamental steps involved in this superior approach created by Seminars for Health. This path will give you the foundation to begin your OM practice confidently. Incorporate this methodology, become transformed and reach your real potential. Once you understand these principles, bring them into your practice to become the best you can be. Be satisfied that you are making the most significant difference with Orthopedic Massage. Advanced Orthopedic Massage: Anterior Neck – Be confident to work safely and effectively around vulnerable structures. Eliminate the compression that restricts mobility. People are living with constant pain and searching for relief. Achieve the best results by regaining segmental C-spine upper and lower mobility to reduce muscle load. An OM therapist gains essential anatomical knowledge and execution of targeted advanced techniques. Understand comprehensible steps to perform a safe and effective treatment. Expertly perform the most precise, safe Longus Colli release technique created by Seminars for Health. Specialize in the highest demand body region, the neck. Advanced Orthopedic Massage: Posterior Neck – Release the load that burdens your clients. Too often people endure constant pain and need relief. The complicated neck is vulnerable and prone to injuries. Forward positioning of the head is epidemic. Achieve results by identifying affected postural structures through accurate palpation with confidence. Orthopedic Massage provides optimal recovery, eliminating the extreme tension while maintaining stability. Provide the ability to access deep and superficial posterior neck muscles with OM practices. Obtain lasting relief for clients suffering from postural strain, whiplash, tension headache, and stiff neck. Advanced Orthopedic Massage: Chest and Anterior Shoulder – Collapse posture is becoming the norm. Create a lasting opening that affects the entire body. Advanced Orthopedic Massage: Rotator Cuff – Regain the natural fluidity of the shoulder joint. Upgrade your skills. Master the highly effective OM techniques that treat debilitating tendinopathy. Execute targeted dynamic movement respecting the synergistic relationship between the rotator cuff muscles, the thoracic cage, and spine. Provide lasting and permanent pain relief and create optimal function. Advanced Orthopedic Massage: Lumbar and SI Joint –Affect the entire body by bringing balance to the connection of the spine and the pelvis. Facet joints are not meant to bear load creating pain and muscle tension. Orthopedic Massage releases spinal pressure forming ‘Opening’ by targeting key junctions to eliminate the source of pain immediately. Adding segmental mobility and targeted muscle work will restore pain-free postural balance. Perform a focused lumbar or SI treatment. Become empowered, provide relief and slow down the overwhelming number of back pain sufferers. Advanced Orthopedic Massage: Hip and Thigh – Give the hip and thigh the attention it deserves. It bears the most load, yet is often undertreated. The hip is the quickest joint to show age; the effects are devastating. We are becoming a sitting, immobile society; showing an increase of osteoarthritis. Master Orthopedic Massage and influence the healing of the hip joint, capsule, muscle junction, and attachment. Increase range of motion, flexibility, improve joint health, activity performance and slow down the aging process. Be part of preventative and restorative care. Provide quality of life with lasting effects. Advanced Orthopedic Massage: Leg and Foot – Pain, restriction, and imbalances of the leg and foot affect the entire body. Achieve lasting relief with each step your client takes. Often unresolved foot and leg problems can lead to conditions that require care. The complexity of this weigh bearing, an intricate region is highly responsive to OM treatment provided to both joints and muscles. Restore foot function and unload the muscles with dynamic OM specific joint mobilizations methods. Be part of preventative and restorative care. Advanced Orthopedic Massage: Forearm, Wrist, and Hand – With the addition and dependency of electronic devices, everyone needs treatment. Repetitive and overuse of electronic devices affect everyone, even if they don’t know it. Muscle imbalances and premature wear-and-tear of the joints, possibly leading to nerve compression. Bring awareness to unknown potential conditions before it becomes problematic. This can be treated optimally with Orthopedic Massage. OM Therapists excel at providing a specific protocol to best target the muscle belly, the tendon, and musculotendinous junction. Get results by providing uplifting and preventative care with OM techniques. I created this course to support, inspire and enable massage therapists to advance their treatment experience. Revolutionize yourself to be your best; start your journey to become an Advance Orthopedic Massage Therapist. 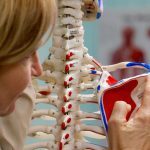 The successful Orthopedic Approach for Massage Therapists. Become an Orthopedic Massage Therapist. Provide the corrective care that brings recovery. This is muscle therapy that blends exceptionally well precise anatomy and massage techniques.